Organised by Union Human Resource Development Ministry in partnership with academia and industry, the hardware edition of the SIH 2018 is being held after the software edition finale on March 30-31 at 28 nodal centres across the country. 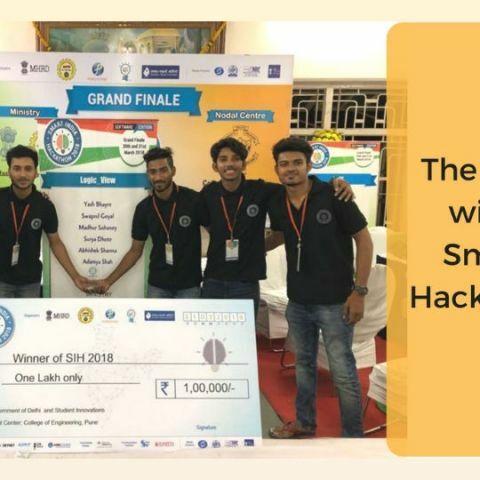 The five-day grand finale of the 'Smart India Hackathon' (SIH) will be held at the renowned Indian Institute of Science (IISc) here from Monday to showcase hardware products by college students from across the country, it was announced on Saturday. "The theme of the hackathon in this city is 'Smart Vehicles', which will enable young students to showcase their innovative hardware products that can address the problem of providing clean water and waste management and create smart vehicles and do smart communication," said an event representative in a statement here. The 10 themes of the Hackathon finale are organised at Indian Institute of Technology (IIT) Kanpur (drones), IIT-Kharagpur (agriculture), IIT-Guwahati (rural technology), Central Electronics Engineering ResearchAInstitute (CEERI) Pilani (smart communication), IISc Bengaluru (smart vehicles), IIT-Roorkee (clean water), National Institute of Technology (NIT) Trichy (waste management), College of Engineering, Pune (security) and Forge Coimbatore (importAsubstitution). Under the hardware edition, 4,362 ideas were received, with 50,000 students participating from 752 technical institutions, the statement said. After two rounds of evaluation, 106 teams were shortlisted to compete under the 10 themes in the hardware edition finale. The finale will kickstart on Monday in the presence of IISc Director Anurag Kumar, former Defence Research Development Organisation chief V.K. Aatre and All India Council for Technical Education (AICTE) Vice Chairman M.P. Poonia. Union HRD Minister Prakash Javadekar, AICTE Chairman Anil Sahasrabudhe, and other academic heads will be joining the event via video conferencing. The winners will be announced on June 22 after three rounds judging, the statement said. The top three winning teams under each theme will be awarded cash prizes of Rs 1 lakh for the winning team, Rs 75,000 for the first runner-up, and Rs 50,000 for the second runner-up. "The teams may also get support from investors who are willing to invest in the products and make them market ready."